There are many reasons behind losing data on iPhone or iPad after Upgrade to iOS 12, and it is a common issue that people are facing in daily wear and tear. Data loss can occur due to rough use of device or malware attacked your iPhone or while updating to new iOS version etc. Disturbance in the process of iOS 12 installation or Skip the steps for Device Activation or Verification. Use iTunes for Recover lost Photos, Documents (Pages), Number, PDFs, Mails, Contact, Messages, Files app, Notes app, Voice Memos, Calendars, Health Data, and other Third-Party Data. iOS 12 showing restoring photos, All photos are gone from photos app. After completing the installation you need to verify with your Apple ID Password. Too many wrong attempts will show Apple ID is Disabled and you need to skip this step. Prepare Step 1: Prepare with the latest version of iTunes. “Update the iTunes” on your Mac or Windows. The update didn’t lose saved backup in iTunes. Step 3: Connect “iPhone” using lightning cable. Step 4: Select your “iPhone” Showing on the iTunes tab. Step 5: Click on “Summary” tab. Step 6: Next, click on “Restore Backup”. Enter password if you have set on backup. Step 7: Choose the latest “Backup” file and click “Restore”. Step 1: Before beginning, you have to restore the iPhone to its factory settings. Step 2: To do so, open “Settings” and tap “General”. Step 3: Tap on “Reset” and then finally hit “Erase All Contents and Settings”. Step 4: Enter “Password” and confirm restoring the iPhone to its factory settings. Step 5: Now, you will see a screen with “Apps & Data”. Step 6: Select “Restore” from iCloud Backup. Step 7: Sign-in with “Apple ID” and select the latest iCloud backup. Step 8: Wait for some time until the process gets completed. So the conclusion is creating a backup using iTunes or iCloud is very necessary especially when you are updating the iOS device. 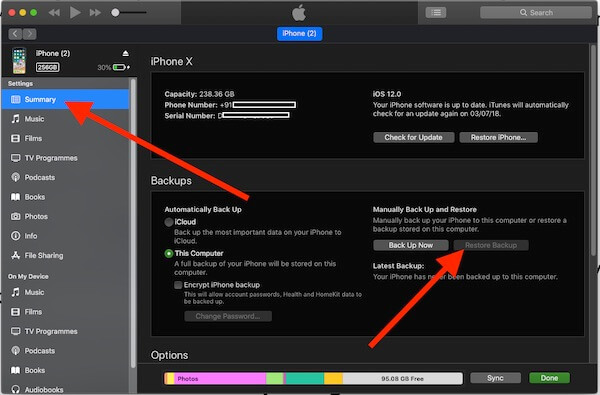 Unluckily, if your device is erased while updating to iOS 12 then at this moment you can use this backup and recover everything you have lost. While you set up your iPhone like new, You will see the Restore Backup from the iCloud option in Setup. Go with this, Enter your Apple ID and Password. After that wait for restore from iCloud, it will take time depends on the size of backup restoring to your iOS device. You are not verifying Apple ID for restore from iCloud Backup or Unable to Crack the password that used in iTunes backup. Try some third-party software that helps and makes your job easy (i think, Pro features help more). 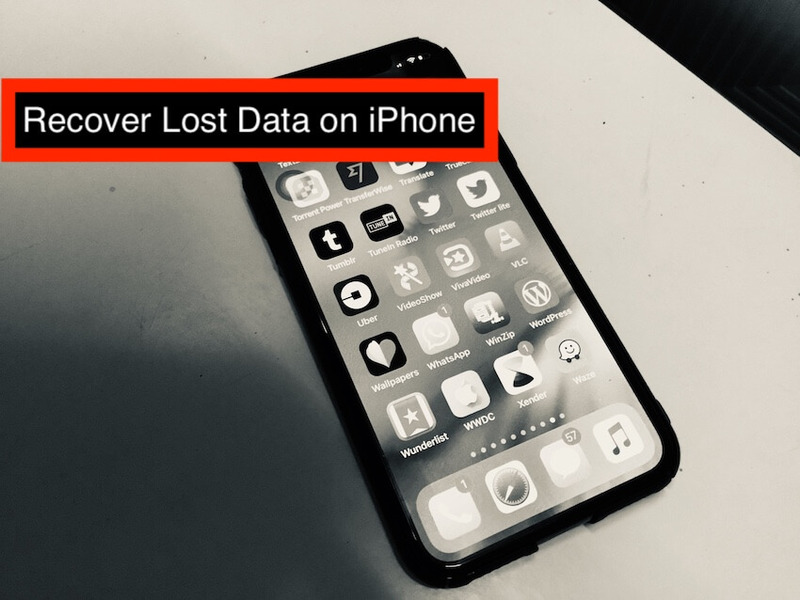 Hope you help out this article and understand what we should try Recover Lost Data After Updating to iOS 12.